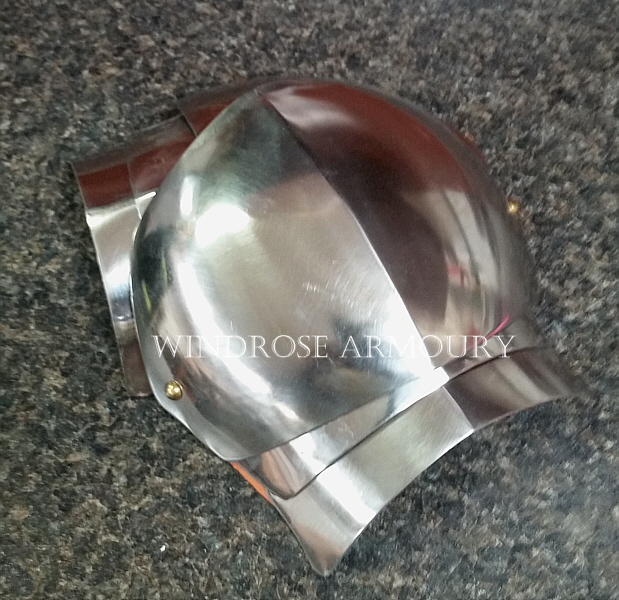 Simple Pauldrons, Stainless [P-10] - $150.00 : Windrose Armoury, We Bring History To Life! Simple 3 part pauldrons for SCA combat. Constructed of 16 gauge stainless steel and sized medium.